Robert Hess is a litigator who focuses his practice on insurance coverage disputes and business litigation. He also devotes part of his practice to both state and federal appellate matters. Mr. Hess' work in the field of insurance litigation primarily involves matters concerning coverage issues arising from individual and group insurance contract disputes, as well as ERISA-governed litigation. In addition to handling numerous cases in the United States District Courts of California, Mr. Hess also has litigated several cases in the United States District Court in Nevada. 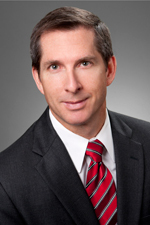 Mr. Hess joined Hinshaw & Culbertson LLP in October 2014 as a result of the merger of Hinshaw and the Los Angeles-based firm of Barger & Wolen LLP.